A thrilling blend of mystery and history from the last decade of the nineteenth century, The Cuckoo’s Nest is set among the hills and valleys of remote Mid Wales at a time of profound change and unrest. It is the hot, sultry summer of 1896. A man has been murdered, one of the thousands of Irish navvies helping to build the great chain of dams that would create a reservoir out of the Elan Valley in Radnorshire and provide clean drinking water for the crowded city of Birmingham. But the man carried a secret, and now Detective Sergeant Thomas Jones is sent from London to investigate. As he delves deeper into the heart of the mystery Jones uncovers a trail of corruption and embezzlement, and passions deep as a mountain stream. His search for the truth takes him high into the mountains and out to the astonishing shanty town where the army of navvies live and work, to the vast building site where the dams are being built, and inside the local workhouse; and to the Cuckoo’s Nest itself, the dark and mysterious hollow where the man was killed. 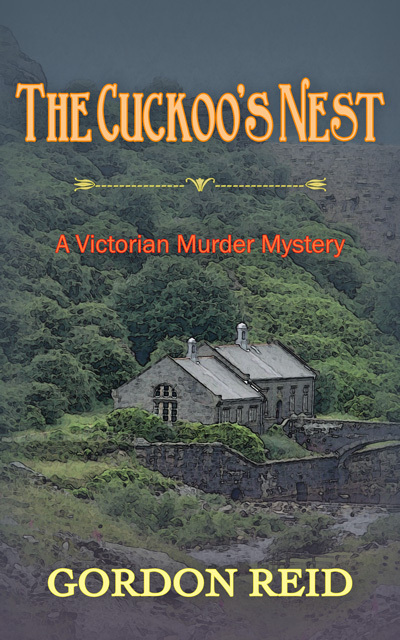 Marking a change from Gordon Reid’s previous fantasy novels, The Cuckoo’s Nest is a straight historical murder mystery overlaid on the real story of the construction of one of the wonders of the Victorian age, the mighty Elan Valley dams (the author was County Archivist of Powys for twelve years). These stories and many more can be found in The Dragon of Stroma and Other Tales. In these fifteen unsettling tales, ordinary people are pitched into the world of legend, of the magical, encountering dragons, ghosts, angels, demons, the selkie, the kelpie, earth spirits and even the Tylwyth Teg, the Fair Folk of Welsh mythology, and more. Mair Rees is home from university for Christmas to stay with her parents on their farm in the remote Welsh borders. But something evil is on the loose and sheep are being attacked. Soon the village is cut off in heavy snow, beset by creatures from the dawn of legend—a mythical army risen from beneath a frozen lake, a creature of shadows and darkness that steals men’s souls, ethereal wolves of snow and mist—and the villagers find themselves in a fight for their very survival. Who has torn down the ancient barriers that separate realities—and why? To answer these question Mair must walk the path of legend, a path that will unveil many marvels and dangers and lead her, finally, to the wondrous Wraiths of Elfael themselves. But first she must encounter The Lady, ruler of the strange and terrifying realm that is Annwn, the Otherworld—where Mair is forced to go, helpless pledge in an ancient bargain. A chilling dark fantasy novel and a breathtaking thriller in its own right, The Wraiths of Elfael will plunge the reader into a desperate fight for survival against the odds—and against the elements of winter. From its eerie and unsettling opening to its shattering conclusion following a vicious battle on a snow-swept hilltop, through many twists and turns, this is a highly original tale of fantasy, magic and mystery. 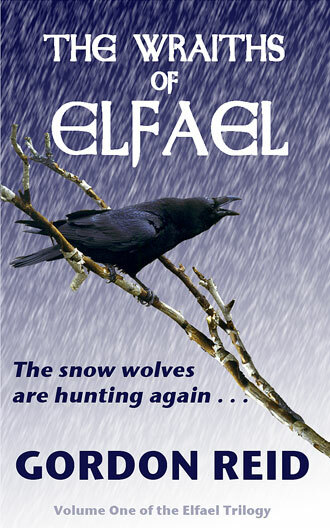 The first volume in the Elfael Trilogy, the story of The Wraiths of Elfael will be continued in The World’s Midnight, which will be published in 2013 on Amazon kindle. The sand is a soft powder underfoot. Footmarks in the soft sand, a riot of overlapping imprints. The distant tide murmurs like a spent lover. Light bursts from a bonfire of heaped bleached driftwood, smoking and crackling, spitting quantum firefly sparks into the night. If it is a beacon, for whom is it intended? Homeless people are disappearing from the streets of Edinburgh. Now Nick Cosgrove’s niece Alison has vanished too, and he’s been asked by his estranged sister to find her. But what is the meaning of his dream: a girl hanging from a cross under alien stars, trapped between a bonfire and the restless ocean? 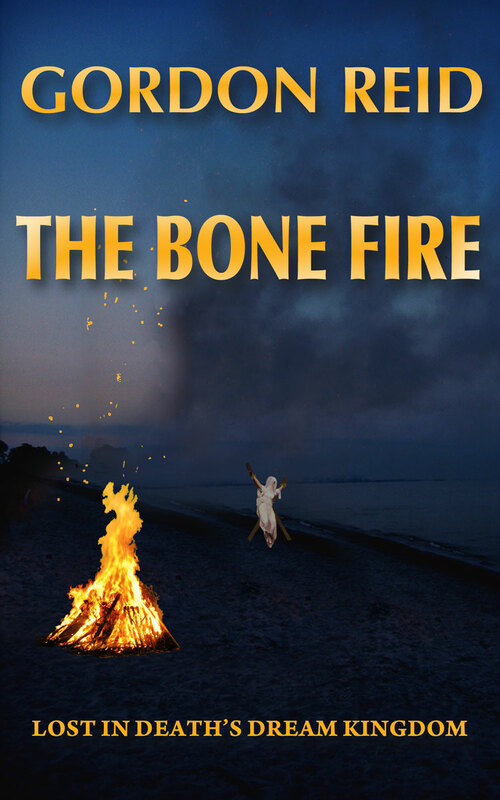 Nick is a university chaplain, and the solution to the mystery will challenge his beliefs about life, and especially—as the story builds to a climax in the desolate, twilight shamanic spirit world—death. ‘The demon lay face down on the cobbles, still as a fallen statue…’Who can you trust, in a world where not all devils have horns…? Calais, 1454, England’s last remaining foothold on the Continent. Across the Channel, England is poised on the brink of civil war.Matthew Fenton has come to France in search of the nephew of his out-of-favour master, the duke of York. But on his first morning in Calais he is shocked to find the body of a murdered demon lying in the street; and when other demons ask him to investigate the death, Fenton finds himself with more mysteries than he’d bargained for – and more worlds than one in which to solve them. Why was the demon murdered? Who is killing the magicians of Calais, and why? And what is the connection with the disappearance of the duke’s nephew? 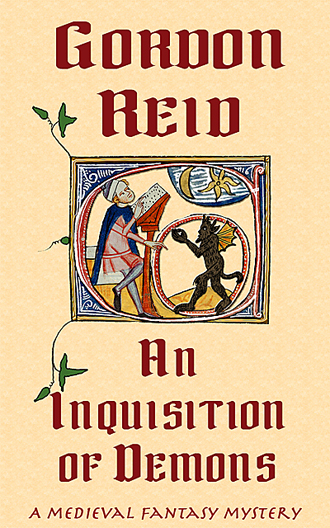 A Yorkist in a Lancastrian town, to answer these questions Fenton must stay one step ahead of the authorities – and for a man seen to consort with devils and even visit their home world, that includes the Church’s Inquisition. If you would like to read more about the book, click here.